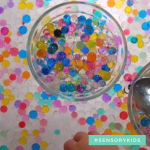 This sensory activity is so easy, it doesn’t require a lot of materials, and the process of exploring tactile materials through hands-on play is good for growing brains. But why wheat berries? Like rice or sand, wheat berries are fun to scoop, but the larger, rounder size has a different tactile feeling than these other materials. I’m not advocating for one over the other, but presenting this as an option that came on like gangbusters with my kids. 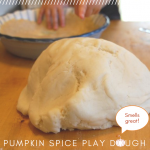 And you can grow or cook this nifty grain after the playing is done…scroll down for more on that. * I found our wheat berries in the bulk bin aisle of Whole Foods, and used a full bag for this project. You can find wheat berries in most bulk bin aisles and online. I spotted this organic 25 Lb Bag of Hard Red Wheat Berries on Amazon and there are plenty of other choices there. 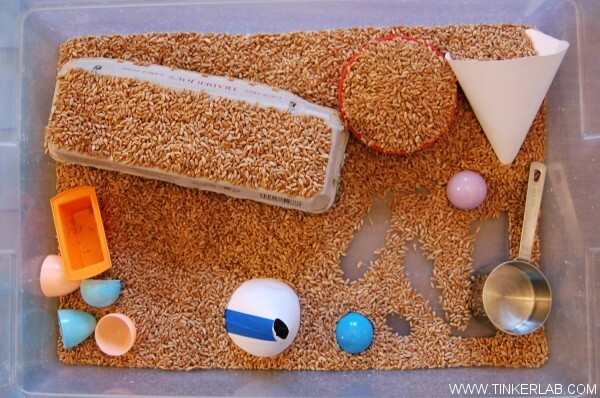 I poured the wheat berries into the tub and placed a few plastic eggs, a couple homemade paper funnels, a couple bowls, a scooper, and an egg carton next to the tub. My kids dropped what they wanted inside and started playing. 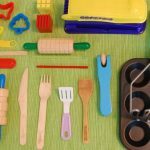 They came up with all sorts of ideas that surprised me, but perhaps the biggest surprise was watching them play alongside one another (well, across the table, actually) in total harmony. The other surprise: This activity went on for days. 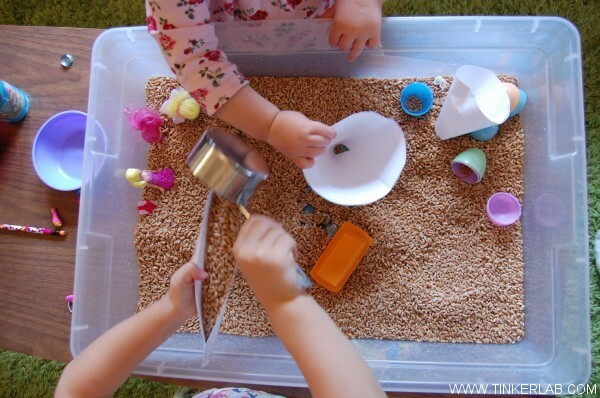 Each night I would clean everything up, put the lid on the tab, and tuck it away under a cabinet. And the next day my toddler would ask me to pull it out. The only mistake I made was setting this up over a shaggy carpet. It was such a mess, but nothing the vacuum couldn’t take care of. 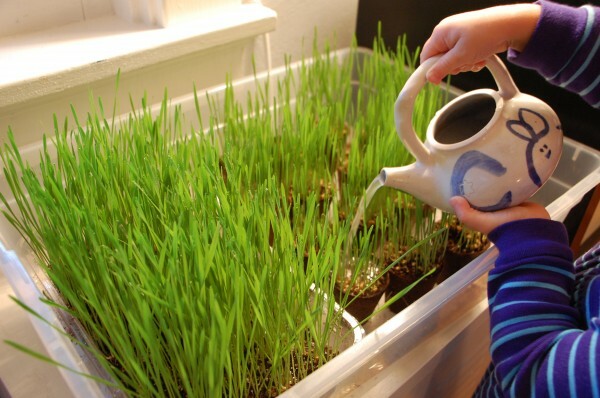 On a nice day, this would be fun outside, but I would caution you against setting this up over any dirt or land that you wouldn’t want wheat grass shooting up in. 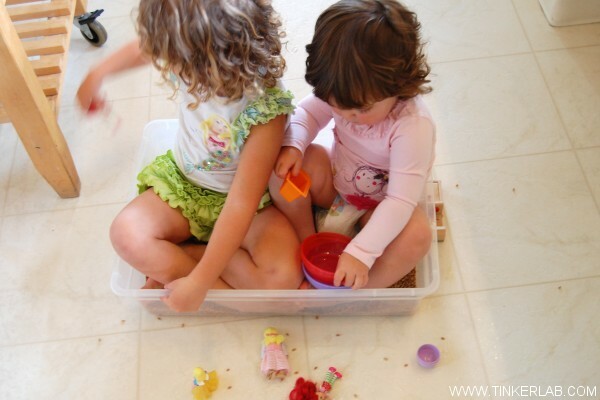 They also brought dollhouse furniture and little action figures over to the tub, where they ran them through various adventures. My three-year old built a paper canoe (seen above), to fill with berries and take Strawberry Shortcake on rides down the river. I loved watching how inventive they were with this simple grain as the backdrop for their creativity. And suddenly the tub doesn’t seem so big anymore! When they exhausted all of their play options, walking right in the wheat berries, and eventually sitting in them became a game in itself. 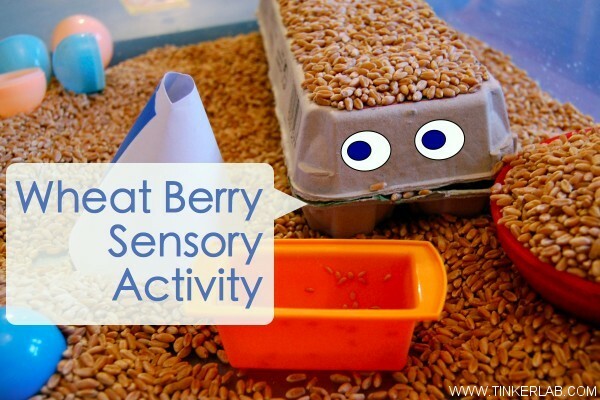 Have your kids played with this fun sensory grain? Looks like a lot of fun! 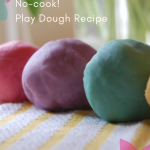 Â We have yet to tryÂ thisÂ one! 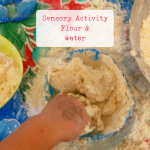 I have been wracking my brains for a week now, trying to come up with a tactile sensory activity for my 2 year old son. My biggest barrier is the fact that we live in a rented apartment with white carpeting and very little outdoor space. I was thinking we needed to keep is small to save space but I was wrong! The size of the bin you are using and the wheat berries, those will be perfect. I just needed to think BIGGER. Thank you! Always love your ideas and this one comes at the perfect time, when I’m phasing wheat out of my diet for health reasons. Now those wheat berries won’t go to waste!!! Thanks for the continual inspiration you provide. What a fun idea. 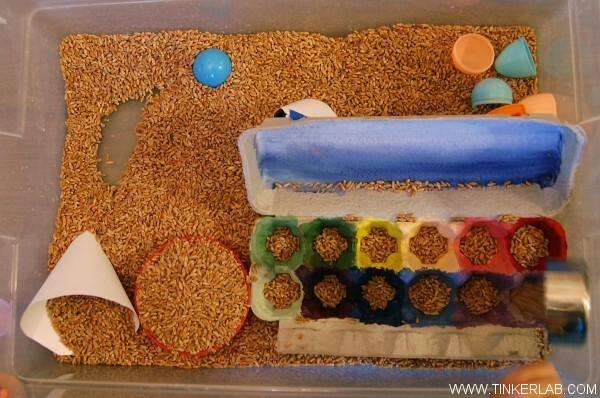 We recently bought a large bag of bird food for the bird feeders my boys made but I think they would also have a blast using the bird food in a sensory bin…thanks for the inspiration! 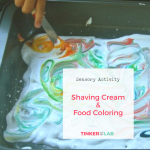 I was just talking to a friend about our kids and their sensory problems yesterday. 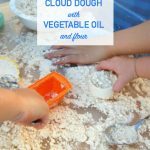 I’ll give this one a try with my toddler and share it with her too. Thanks, as always, for the awesome idea!